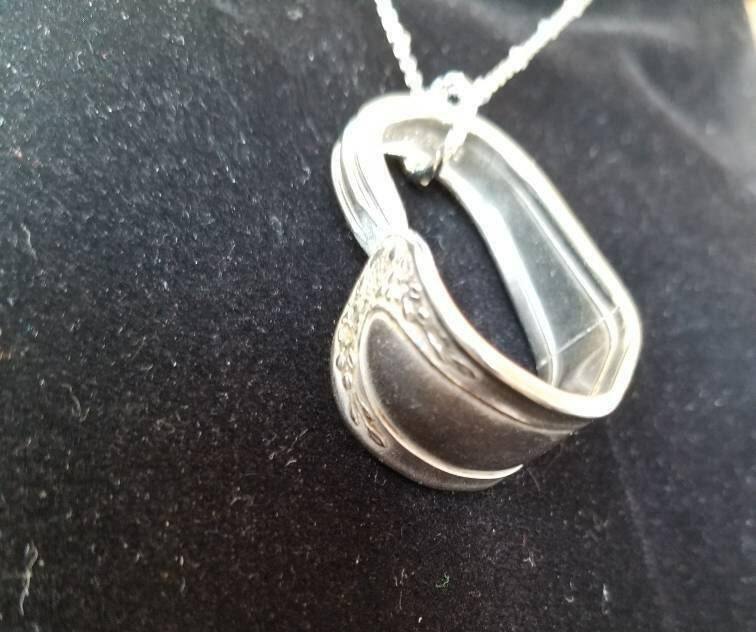 Using a vintage spoon, I made a heart pendant. 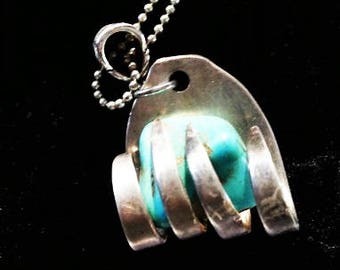 All my silverware jewelry is made from upcycled silverware from the 1800's - 1950's. The heart hangs on silver twisted ring on stainless link chain with beaded accents. Chain is surgical stainless steel and offers a choice of 18" or 27" length. Perfect gift for valentines day and the love of your life.